I like Japanese games. I always have. As for the why, that probably lies with my gaming education, with years of playing imports in my youth sculpting my taste. Indeed, the JRPG is one of my favourite gaming genres, as too the classic SHMUP, with both offering an insanity at radically different ends of the scale. The former necessitates levels of patience and tactical thought often not matched in western titles, while the latter requires reactions of a cornered snake, with players tasked with dodging, diving and striking at high velocity to remain alive. There has, however, been one Japanese gaming genre that I’ve never touched. 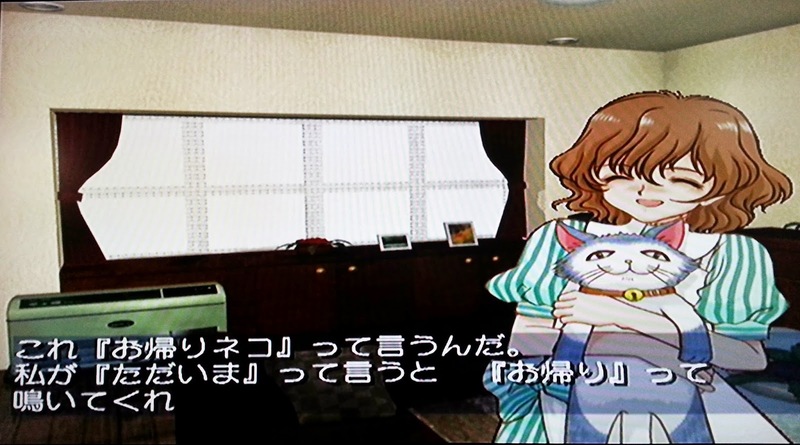 For reasons of both reputation and accessibility, the Romance-Communication genre that perpetually reoccurs each gaming generation in Japan, was a place that I never dared to venture. I mean, I couldn’t even if I wanted, as these titles are never ported, never translated into any other language and with the whole raison d'être being talking and listening to people, they offered little to me. You are based in Sapporo, however you explore wider Hokkaido during your trip. That all changed however this summer. With a newly found and constantly improving grasp of Japanese - I’ve been been receiving tuition now for over a year - I decided to give it a shot. After all, even if as a game I came away disappointed, at least I’d be involving myself in the language and culture more and improving my overall knowledge base. The thing is though, these sort of games have a very, very poor reputation in the west. Seen as dating sims for those incapable of forging real relationships - disclaimer: I have been happily married for five years - they very much occupy the dark side of the hobby and are looked down upon almost everywhere bar Japan. I was, to say the least, a little apprehensive. My real name doesn't work in hiragana so I chose to become 'Robaato Kusakabe'. 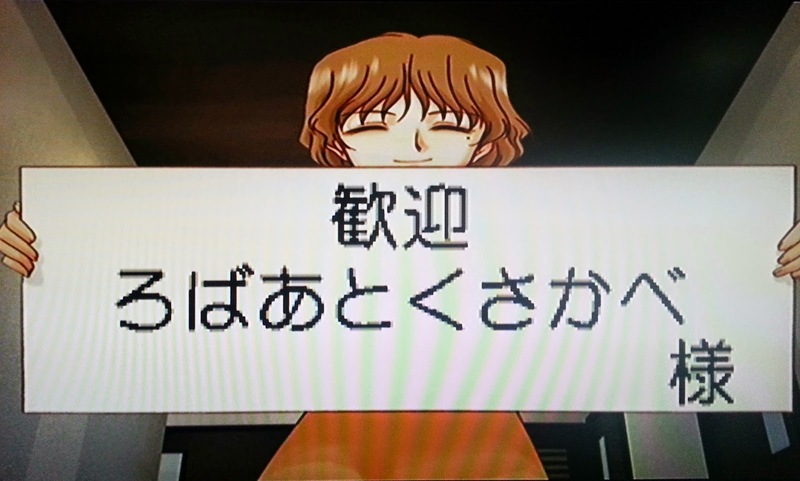 Enter Kita e: White Illumination for Dreamcast, a 1999 Rom-Com title from Hudson Soft. Kita e, which translates as ‘to the north’ in Japanese, places you the gamer in the shoes of a 17-year-old high school student from Tokyo who travels north to Hokkaido to spend the summer with family friends. While in Hokkaido, you explore the area, meet up with people and engage in social events like karaoke, shopping and even playing video games in and around your base city Sapporo. Crucially though, in the two weeks that the game is set - August 1 to August 14 - you are tasked with building a relationship with one of eight romanceable females. The core game plays out like an interactive comic book / film, with you deciding on where to go and with who and then engaging in communication about a variety of topics. When talking to someone the player can interrupt or respond to something said by initialising the CBS, the Communication Break System. This system allows you to respond in a variety of ways that alter or dictate the course of the conversation. Of course, if the person you are with is just boring the socks off you, you can say nothing and ignore them, however this will obviously not help you build a solid relationship with them. 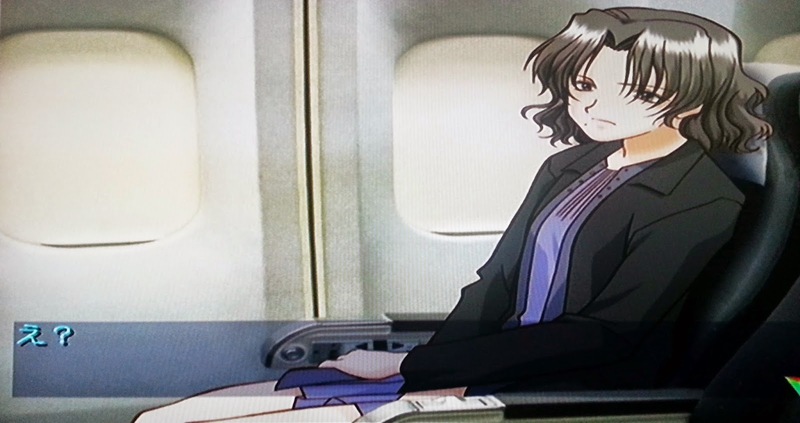 You sit next to this woman on your flight to Sapporo. We didn't get on. The finale of the game, or to put it in simpler gaming terms, the way you win the game is to build a relationship with a person to the extent that when you return to Sapporo to celebrate the city’s White Illumination Countdown on New Year’s Eve later that year, your significant other meets you there and kisses you at 12:00 midnight. And, that’s it. There’s no adult content, no new game plus-style mode, no hidden secrets or achievements to be unlocked. There’s just the story that you play out over those two weeks of summer. After slowly playing this over the summer just gone - as I am no master of the language even I struggled to keep up with dialogue sometimes - while I can’t say that I was blown away or anything, and I certainly have plenty of criticisms about its execution (for example the animation could be better during communication), I’ve got to say that Kita e has helped me understand why these games sell so well in Japan. Just like any piece of fiction, these titles are escapist fantasies, world’s that you delve into and just ‘be’ in, just play a part in like you were in a play. Just because titles like Kita e want to emulate the real world rather than say World of Warcraft’s fantastical Azeroth, doesn’t make them any less valid. Indeed, playing Kita e reminded me that today many western blockbuster titles, titles such as the upcoming Dragon Age: Inquisition, definitely owe these games in part, as the advanced communication systems that allow you decide your own narrative are almost identical. The difference simply is content. While in Dragon Age you may be deciding whether to execute a renegade mage, in Kita e you may be deciding where in Hokkaido to spend a day out with your friend. And, after spending time in its world, I like that. I like how domestic and real it is, despite it being a virtual simulation. Yuko loves photography and will take pictures of you as you explore Hokkaido. So what is Kita e? I think its many things, some good some bad. Firstly, I think it is a demonstration that the Romance-Communication genre should be re-evaluated, as it offers more than people often give it credit for. Secondly I think it is incredibly inaccessible to anyone who can’t read and speak Japanese and in places it is cheaply executed, with animation, sound effects and music leaving a lot to be desired. Thirdly, I think that it does a good job in providing a snapshot of life in a culture very different from my own. Lastly though, I think Kita e is a gentle reminder of what it was like to be young. To wake up and realise your school was shut due to snow and that you had the day off and anything was possible. To get invited to go on holiday with a friend to a place you’d never been and with people you didn’t really know. To live your life blissfully ignorant of the world’s problems. If you play Kita e, maybe you to will, albeit for just a short time, forget too. Your end of game reward - a single kiss at 12:00 midnight on New Year's Eve. Wow - that was a great read. I have to admit that the 'dating sim' is not a genre I've experienced personally due to the reasons you cite (impregnable language barrier being the main one - no pun intended). However, this seems like a charming game with an original premise with its two week summer setting. That said, if this genre had come to the West, I can't imagine it would be so innocent - spending a night in a club and then snogging over a kebab doesn't have the same appeal. Not that I'm talking from experience. Erm.